Heidi Phifer Esthetics is all about results, which is why comprehensive treatment plans are developed for each client. Corrective facials are created with client comfort in mind so you can enjoy a relaxing experience as your skin is transformed. When it comes to effectively treating the skin, there is no "one size fits all", which is why Heidi Phifer Esthetics uses a diverse selection of modalities and clinical skin care to effectively treat aging, hyperpigmentation, melasma, sun damage, teen and adult acne, and rosacea. Customized to your skin type, this clinical facial includes Cleansing, Exfoliation, Fruit Enzyme, Ultrasonic Resurfacing with Infusion and a Therapeutic Mask. Customized to your skin type, this facial starts with Cleansing, Exfoliation and a Fruit Enzyme. The Rezenerate creates thousands of nano pathways in the skin to channel selected nutrient-dense serums with skin-plumping Hyaluronic Acid deep into the skin. The skin is then calmed with a Therapeutic Mask. This treatment dramatically reduces fine lines (very effective around eyes) and provides an instant plumpness to the skin and lips - Results Intensify over the course of 28 days. Customized to your skin type, this clinical facial starts with Cleansing, Exfoliation, Fruit Enzyme and Ultrasonic Resurfacing with Infusion. Contours of the facial muscles are then firmed and lifted with Microcurrent as collagen boosting LED light increases skin regeneration and healing followed by a Therapeutic Mask. Customized to your skin type, professional skin care targets your needs using natural botanicals, enzymes, and clinical actives. You'll experience deep cleansing, exfoliation, and massage of the face, neck and shoulders, as well as a therapeutic mask. Repair, recover and restore compromised skin while building skin immunity to environmental stress with this indulgent and refreshing Facial. After an oxygen facial, clients can expect to see a more refreshed and rejuvenated complexion. This makes anyone look well-rested with a just-back-from-vacation glow. For this reason, the oxygen facial is perfect to use before special occasions when clients want to look their best without any downtime. 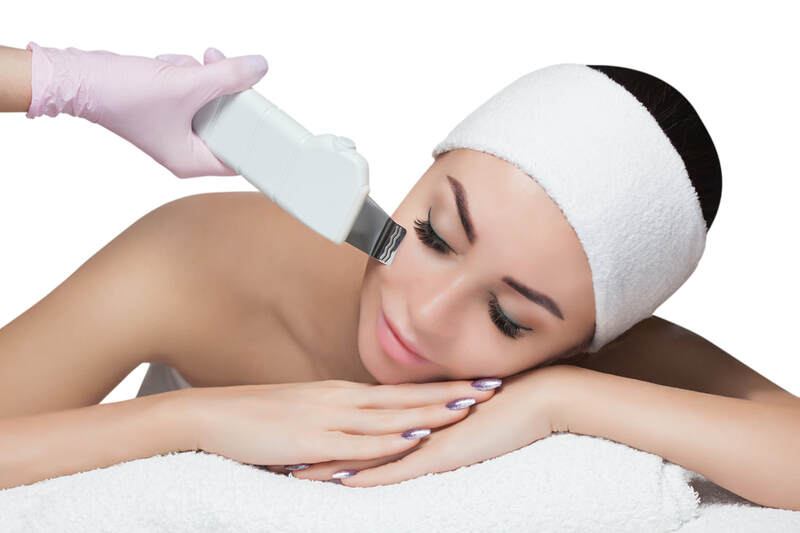 This hydro-facial treatment gently lifts away the top layer of skin without irritation and delivers a hydrating and soothing aqua infuse treatment to the skin, softening the appearance of imperfections such as wrinkles, fine lines and texture issues. A comfortable and pain-free aqua peeling treatment, suitable for sensitive skin - Is also great for acneic skin, comedone removal and pore reduction. Gentle, light-depth peeling of the skin with Lactic, Arbutin and Kojic gently and effectively fades sun-damage and results in a bright complexion that is smooth and hydrated. Refines skin texture while softening and fading post inflammatory hyper-pigmentation caused from acne. Customized to your skin type, this abbreviated version of the European Facial offers a deep cleansing of the skin, followed by a nourishing massage, ending with day care and protection. Removal of blackheads, milia, and pustules. Add to any Facial or Ingrown treatment. Boost collagen production, skin regeneration and healing. Reduce Redness. Increase the efficacy of any treatment with LED. Contours of the facial muscles are firmed and lifted with micro-current as collagen boosting LED light increases skin regeneration and healing. Controls oil, reduces acne bacteria and inflammation. Reduces redness, bacteria and inflammation after waxing. ​Add to any Facial or Waxing service. Diamonds gently resurface the skin, encouraging cellular turnover to soften fine lines, reveal smoother skin texture and brighter tone. ﻿The skin is deeply cleansed and exfoliated. Serums are infused deep into the skin as collagen and elastin production is accelerated for firmer and softer skin. ​Add to any Facial Service. Dry Brushing, Lymphatic drainage, Scrub, Massage, and a Hydrating Mask while cocooned in a thermal wrap. Skin will be softer, smoother, brighter and firmer. Your back is given some much needed attention in this European Facial variation for the back. Your back is deeply cleansed, exfoliated, and massaged. Gentle formulations of alpha and beta hydroxy acids are selected for your issue and work to encourage exfoliation of the skin and the release of ingrowns. Soothing actives reduce inflammation and redness.